Silver coins take center stage next week as the United States Mint releases two popular annual products which contain the precious metal strikes. 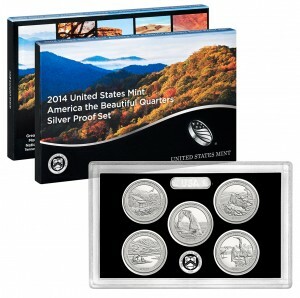 Leading the releases is the 2014 United States Mint America the Beautiful Quarters Silver Proof Set™ which debuts on Tuesday, January 21, 2014 with the 2014 American Eagle One Ounce Silver Proof Coin issued two days later on January 23rd. These two new items should each become available at Noon (Eastern) on their releases days. Orders for the silver coin products may be placed directly with the US Mint (once available) by visiting the website of www.usmint.gov or by calling 1-800-USA-MINT (872-6468). The five quarters of the year appear together in one numismatic collection with the release of the 2014 United States Mint America the Beautiful Quarters Silver Proof Set™. Each coin of the set is struck to proof quality from a composition of 90% silver at the US Mint facility in San Francisco. All five coins are presented together in one protective lens. Pricing is listed as $31.95, but is subject to change. No mintage or order limits apply. 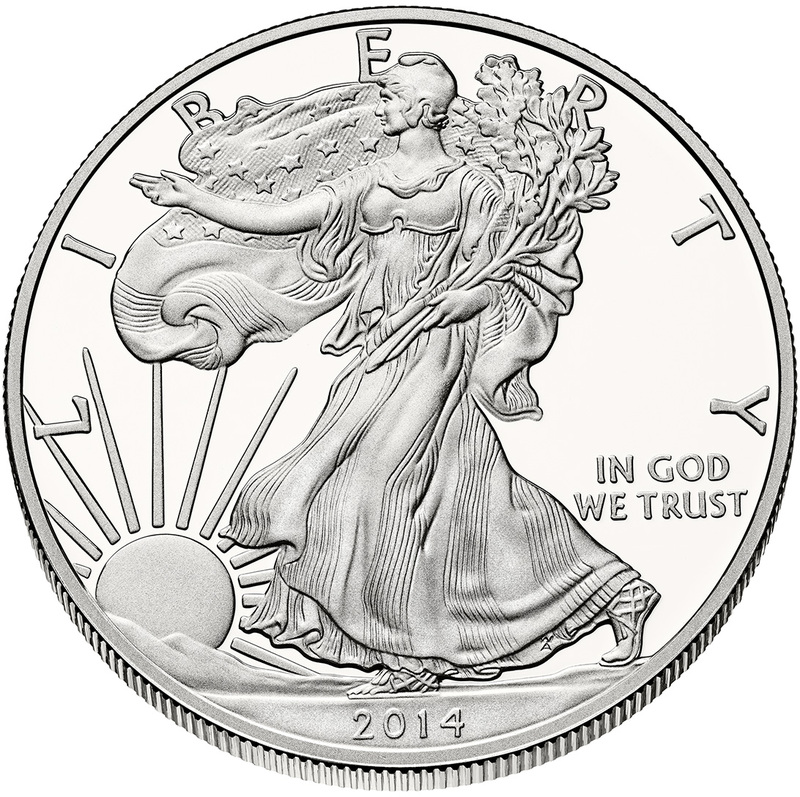 One of the most popular US Mint annual releases becomes available on January 23rd with the debut of the 2014 American Eagle One Ounce Silver Proof Coin. 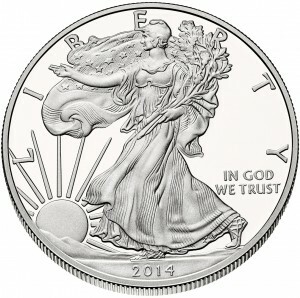 These are issued as numismatic versions of the extremely popular bullion American Silver Eagle. Each is struck from one ounce of 99.9% pure silver at the US Mint facility in West Point and bears the mintmark indicating that location. The popularity of these coins is well-known with hundreds of thousands sold annually. Pricing is expected to be $52.95, but is subject to change. 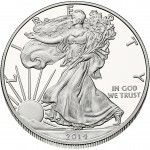 Currently, the US Mint lists no mintage or order limits.